I’ve been watching wild geese all week, and thinking about Tucson. There is a connection. The geese astound me, flying in entrained synchronization, turning, lifting, landing in perfect, peaceful attunement to each other. They are often noisy, sometimes contentious, but when danger threatens, they move swiftly into position, guarding the young, attentively poised for flight or flattened to avoid detection, all behaviors to maximize each other’s safety and survival. And then there is the mayhem of Tucson, one of us so seriously ill that he has lost any sense of belonging to this human family, and so slays six and wounds thirteen of his siblings. Yet in the midst of it all, many present there that day, some known, others unnamed, came to the assistance of their fellow humans. In an instant, they drew on their own unique skills and gifts, spontaneously offering them to those in need: comfort, medical intervention, calls for assistance, calming the terrified, preventing further harm. Several of those hailed as heroes in the press have staunchly and humbly disavowed that title. In their heart of hearts they know that what they did was utterly, normally human; they acted on behalf of the Common Good- a capacity that we share. It’s in all of us, this ability to care, to protect, to heal, to extend ourselves in service to others. If we say that these qualities are rare, we individually and collectively let ourselves off the hook too easily. What truly is abnormal for us humans is hatred, apathy, and indifference. Perhaps what we witnessed in response to the violence in Tucson was a demonstration of human entrainment….individual actions that spring from a deep well of resonance with the Common Good, with what is required for the survival and safety of us all. Over and over, in times of crisis ordinary people spontaneously step into the breech faster than thought or calculation could allow, and do what is theirs to do….not because they are special and extraordinary, but because they are so deeply connected to their own common humanity that they act to safeguard and preserve life. Some are so attuned that they have chosen professions as first responders, medical personnel, crisis intervention specialists, counselors and therapists of all kinds, so that every day, their task is to assure the safety of their fellow humans, preserve peace, be healers. 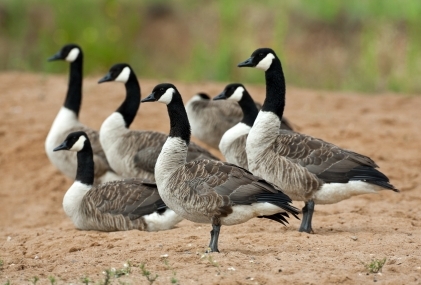 Like the geese, we can trust our inner guidance about how to keep all of us safe from harm. With such deep listening, we can collectively create the conditions that promote our well being and minimize human-generated tragedy: get serious about eliminating the omnipresent threat of weapons, reign in our egos and anger when we disagree, provide care for those of us so obviously troubled, draw deeply on our common longing for peace. Perhaps we are moving past the era of heroes and into an age when we recognize and embrace our interdependence, our inextricable connection to one another, our interbeingness. I don’t know if this is true, but it gives me comfort and hope to believe that it is. I am enjoying your blog and posts. I am sharing this site with my students as well. It struck me that some sudio posts might reinforce the “listening” message. Ironic that this is all in written form! just a thought.